Ah, the modest grip. 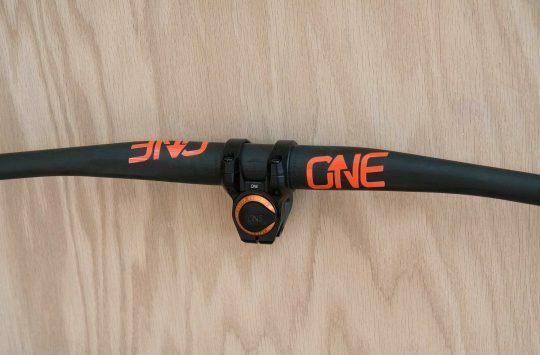 It’s probably one of the cheapest parts on your bike and likely one of the most overlooked. But given a pair are responsible for 40% of the contact points between you and your two-wheeled machine, they’re something that we could all do with paying a little more attention to. Lock-on grips tend to be the modern mountain biker’s favourite option, as they’re easy to install and hold firmly in place – even when conditions are wet. They have their downsides though, namely extra weight due to the added grams from the lock rings and hardware. 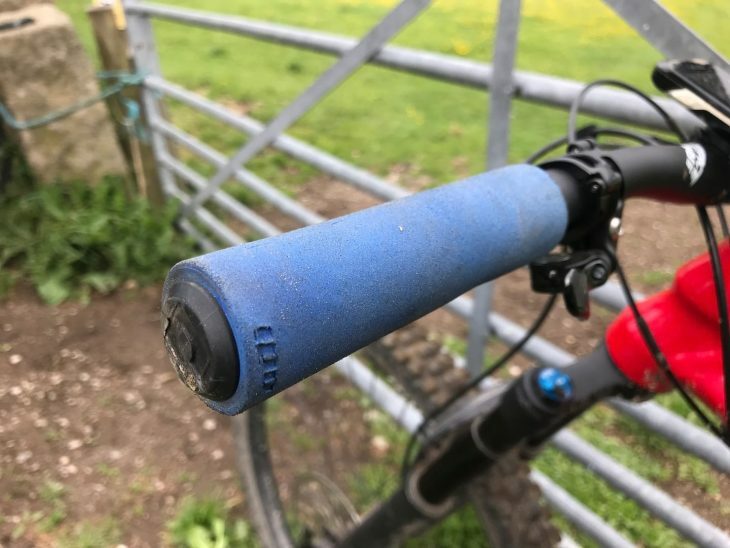 And because of the internal plastic sleeve, they also put less squishy material between your hands and the handlebar, which can reduce comfort. For the riders who value both comfort and light weight, that leads us to silicone or foam slide-on grips. 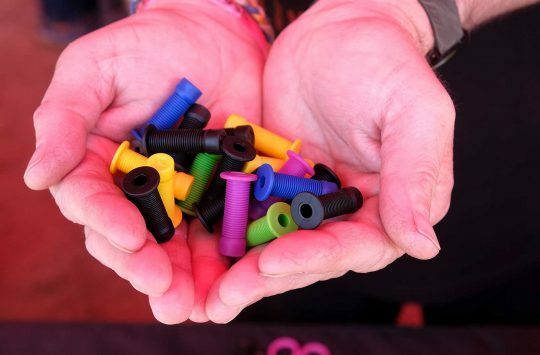 The F-1 grips are the first of their kind from ODI. Foam grips have been around for a good long while but aren’t that shock absorbent or particularly robust, even for XC or marathon riding. I had a set that lasted about five rides before they fell apart, given they were so uncomfortable I whole heartedly celebrated their early demise. Silicone grips are also pretty light but with better shock absorbency and durability. 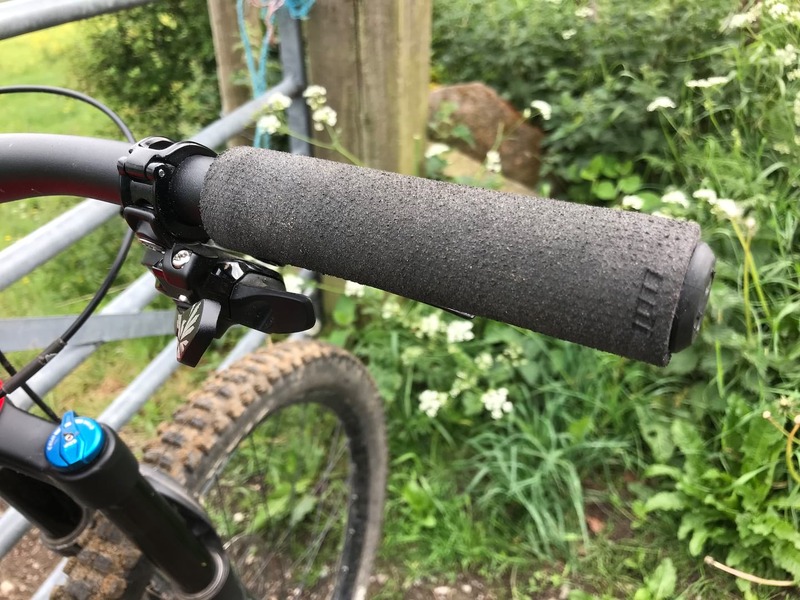 But, as I quickly found with my last set of ESI grips, they do become pretty slippy when they get wet so aren’t the best in British conditions. No locking collars means lower weight, and more squishy material between your hands and the bars. The ODI F-1 Vapor and Float grips look similar to a silicone grip but are made from an elastomer ‘AIRE’ compound (nope, no idea what AIRE stands for). 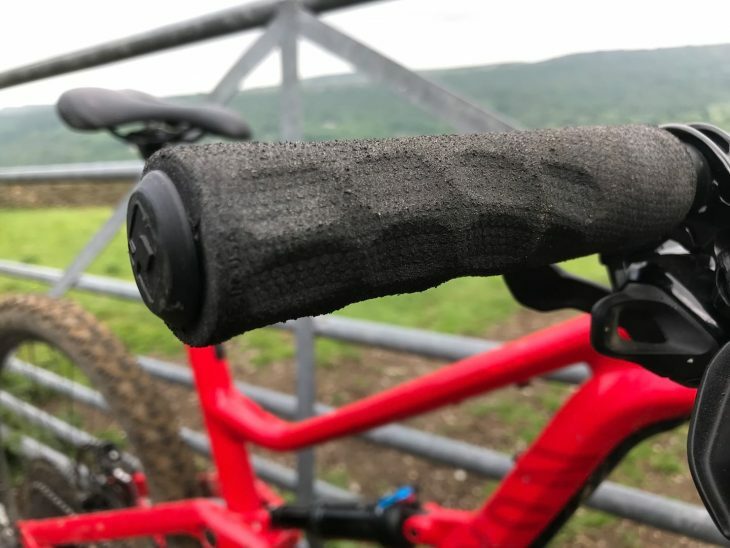 Just like in seat posts, frames and forks, elastomer is used in these grips to dampen vibrations to make for a more comfortable ride. 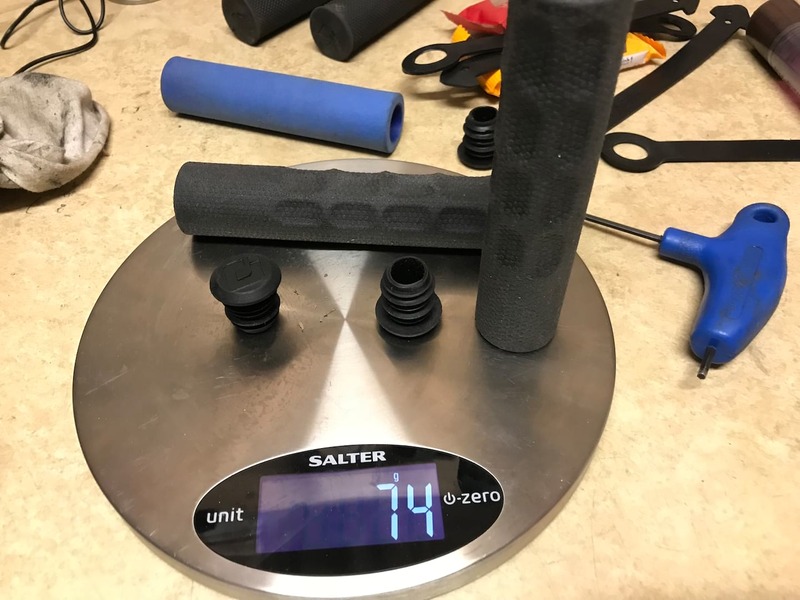 The elastomer is aerated to reduce the weight of the grip, with a pair coming in at 74-75g (including plastic end plugs) as weighed on my kitchen scales of truth. The F-1 grips are lighter than a comparable lock-on grip. Both the Vapor and Float have a reinforced inner layer to improve durability, as well as a slightly textured surface for grip. The Vapor has a textured grip to match your fingers, whereas the Float has a uniform profile. 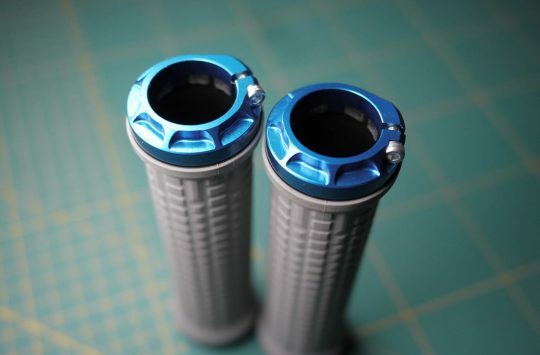 Both grips are 31.5mm diameter and are available in three colours (red, green and blue), as well as black. Installing the F-1 grips is straightforward enough but only if you do it as ODI recommend by cleaning the bar and damping with isopropyl alcohol. I first tried a drop of water which works with other slide-on grips but it didn’t evaporate so the grip slid round. Meanwhile I found that hairspray wasn’t slippy enough to get it to slide on. You need to pay a bit of attention to fitting the Vapors as the contours mean they only go one way round and there’s a right way up too, but the Floats don’t require any such thought. There has been some mild slipping with our test grips, which I haven’t actually noticed. Once on the bars, both sets of grips seemed to stay exactly where I’d put them although this can’t be entirely true as I could see from the contours on the Vapors that they had rotated slightly after a good number of rides out. Inventing the future: At home with Canyon Bicycles - Part 1. Inventing the future: At home with Canyon Bicycles - Part 2. Don’t ever try to ride your bike with only one lockring grip attached. You’ll fall flat on your side and never be able to pick your bike up again. It’s only by having one on each side that it cancels out, leaving the bike upright. On a slightly more serious note (can it get more serious? ), I’d be vaguely interested in an article showing how much weight you need to add to a bike before it becomes noticeable with a stopwatch and when the rider ‘notices’ a difference. I’ve just fitted my second pair of ESI Extra Chunky’s to my hardtail. They are my favourite grip to date, I find that when I inevitably deathgrip a challenging section of trail, my hands and forearms recover much faster than they would have using lock-ons. I think I will be very tempted to buy a set of these to compare. If they are noticeably more comfortable than silicon grips, they must be amazing! @uberpod – Grams make kilograms!